Open Day - Sunday, 3rd September, 2017 from 2.00 p.m. to 6.00 p.m.
Church before the bells are brought up into the tower of the church. The Bells prior to Installation in the tower. 9th August 2017 - Rev Cliff Jeffers tells The Southern Star about the inspiration behind the Sam Maguire Community Bells project in Dunmanway. You can read about it in this week's newspaper – in the shops now. click here for article. 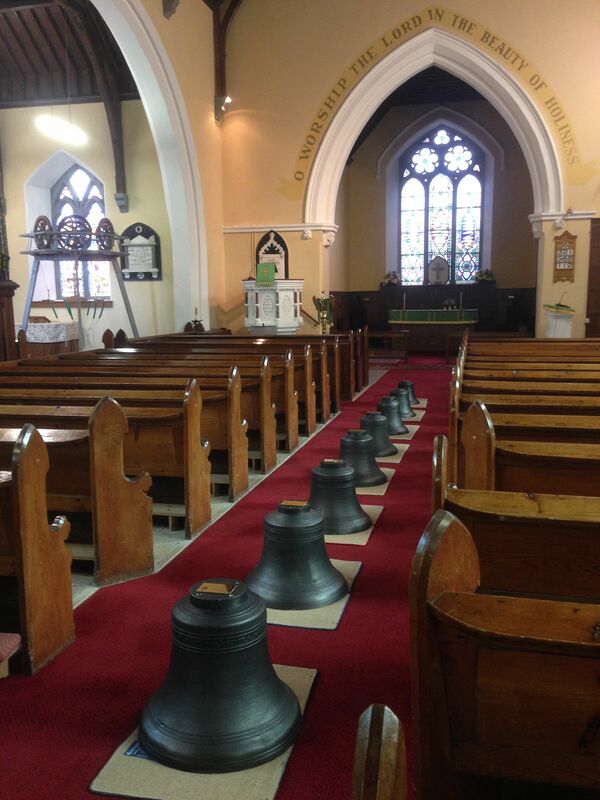 For further information please click here Sam Maguire Community Bells Leaflet.